Are you an active listener during an interview? Interviewing is hard. It can be nerve racking, awkward, and downright scary at times. One of the most important parts of interviewing that is often overlooked is the art of listening. This is an important skill for both the interviewee and the interviewer to master. Listening is hard. A lot of people struggle with it in their everyday and personal lives, let alone during interviews. Good news is we have 3 simple tips that are easy to keep at the front of your mind during your next interview and make the process of listening simpler. Seems simple right? The first step to listening, is to stop talking yourself, you can’t listen to what someone else is saying unless they have the room to talk. Interviews are very unique social situations and it is necessary for you to feel the flow of the conversation. When you are comfortable it should feel more like a conversation, where you talk back and forth. This is ideal when interviewing, it’s natural instead of seeming like an interrogation. Simply put, know when to stop talking, (it may take practice). It’s not just about what you hear but what you see. Over 50% of communication is non-verbal. You could be the greatest talker in the world, but if you miss the non-verbal communication cues you’ll have no idea what is going on. Non-verbal cues include how your interviewer is sitting, where they are looking, what they are doing with their hands. Are they engaged and listening to what you are saying? 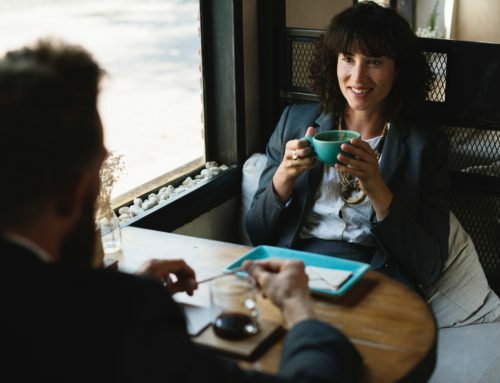 Obviously you can’t be a mind reader, but you can tell a lot about where you stand in the process from what the interviewer’s body language says. Learn to read it and adjust accordingly. This connects back with #1, stop talking. To actively listen you need to be the person, not talking in the conversation. You might have a great story or something extremely relevant that suddenly popped into your mind that you want to share, but hold your tongue until it is your time to talk, or until it’s appropriate. The key take away is to follow the flow of the conversation. There you go 3 simple tips to help you remember to listen in your next interview: stop talking, open your eyes, and don’t interrupt. Sounds easy enough – just don’t forget to practice before your interview! 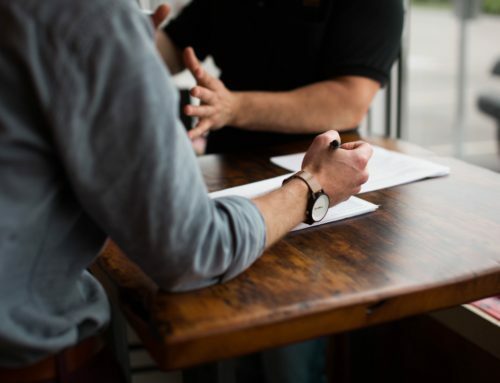 For even more tips on preparing for you interview be sure to check out our Top 10 List of Practical Interview Steps for Success blog.